My first short story, A Place for Inspiration, was published in iScot magazine in December 2017. Since then I’ve had stories regularly in iScot. 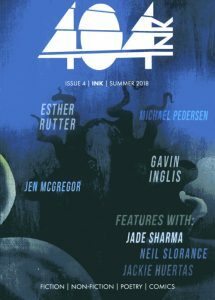 In July 2018 my story, Letter from America, was published in 404Ink magazine. Click here to see a list of all the stories published so far. Click here to read Incident at Dunagoil, published in the June 2018 issue of iScot.